Sunny days and summer are coming soon. You feel like you should work out to get back into shape to be ready for pool parties and lazy beach days… but you can’t be bothered! We found 6 fun physical activities to do in Santiago for you. Who has never heard of this giant and colorful event, which in addition to be super fun, will make you feel better? So grab your oldest pair of confortable shoes, gather a group of friends, and enjoy the most entertaining 5km run on November 14th in Santiago. Be ready to live a great experience full of surprises. When buying your ticket you will automatically receive the Color run official kit including a tee shirt, a backpack, colourful powder, and a bracelet. To register: Go to the 2nd floor of the Costanera Center and find the Color Run stand or register Here. Being so close to the Pacific Ocean in a country with one of the longest coast (4000 kms), you definitely need to go surfing at least once. Good for body balance, legs and arms, this fun activity will make you burn calories and reinforce your muscles without realizing it as you will be focused on the waves and your posture to take off. 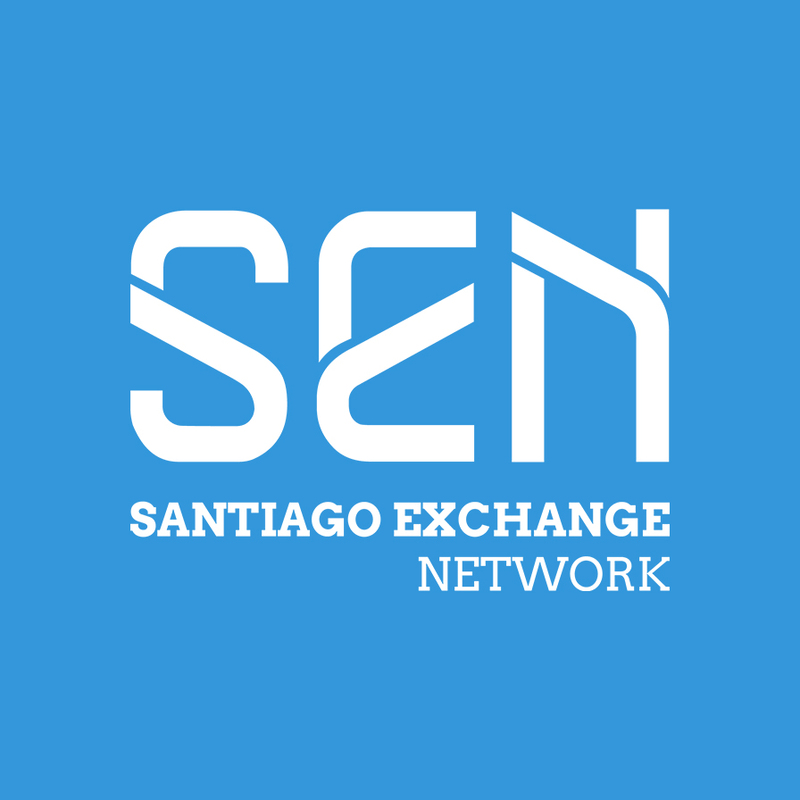 As you have many options and places to go surfing in Chile, SEN – Santiago Exchange Network – created for you a special all-inclusive package (transportation, surf lessons, friendly BBQ) to make the most of your day. This will take place in Maitencillo beach, one of the best beaches in the world to practice this fun activity. Click HERE for more information about this great and cheap opportunity. How would you feel if I tell you that more than 40,000 people can be seen cycling across the streets of Santiago every Sunday, making the CicloRecreoVía initiative THE largest gathering of people who actively participate in physical activity for fun. Basically, every Sunday throughout the year from 9am to 2pm many of Santiago’s main streets are converted into cycle-only zones. Here’s a list of the streets involved. Also, widely recognized as THE cycle path project of the decade, Mapocho 42K is a 42 kilometer-long, 3.4 meter-wide cycle route alongside the River Mapocho. The route links no less than eight of the city’s neighborhoods including Lo Barnechea, Vitacura, Las Condes, Providencia, Santiago Centro, Quinta Normal, Cerro Navia, and Pudahuel and offers an incredible recreational challenge for anyone who loves to travel on two wheels. The project should be done by 2017 but you still can enjoy the start to train on the finished parts. To easily rent a bike we advise you La Bicicleta Verde, one of the most famous cycling services located in Santiago Centro. It also organizes bicycle tours across the city. Prices start at $5.000 pesos. For skateboard, roller-skate lovers or beginners who wants to enjoy new sensations we found for you different skate parks in Santiago. Try to get out of the bowl in Parque O’higgins, slide on the ramps in parque Araucano, enjoy the quarter and half pipe in the skatepark Fleming and train on the ones in parque de Los Reyes (one of the 25 best skateparks in the world). Many people cycle or run to get fit, but don’t think of swimming as another major route to a healthier lifestyle. What a mistake. Indeed, because water is about 800 times denser than air, you can work harder, and burn more calories, in a pool than out of it. If, in addition to that, you can go swimming on top of the world, having a breathtaking view of Santiago, we wouldn’t believe you if you tell us you preferred going for a simple run. So check out our latest article that talks about the swimming pools in the Cerro San Cristobal to discover how you can make physical activity becoming a pleasure. LAST but definitely not LEAST, for those who dare trying to become a Spartan, doing one of the World’s Best Obstacle Races ? SpartanRace is a series of obstacle races of varying distances and difficulty ranging from 3 miles to marathon distances. Before attempting such an adventure, make sure you are ready for it, don’t take it lightly. So if you feel like a daredevil, check out HERE the next Spartan Race in Santiago.